Deiparae Virginis Mariae (May 1, 1946), is an encyclical of Pope Pius XII to all Catholic bishops on the possibility of defining the Assumption of the Blessed Virgin Mary as a dogma of faith. The encyclical states that for a long time numerous petitions have been received from cardinals, patriarchs, archbishops, bishops, priests, religious of both sexes, associations, universities and innumerable private persons, all begging that the bodily Assumption into heaven of the Blessed Virgin should be defined and proclaimed as a dogma of faith. 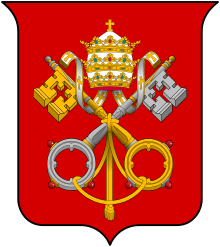 This was also fervently requested by almost two hundred fathers in the Vatican Council (1869–1870). 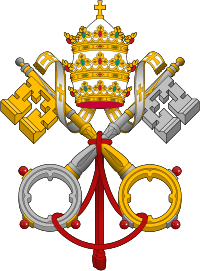 Following the example of Pope Pius IX, who with his encyclical Ubi Primum canvassed Catholic bishops before proclaiming the dogma of the Immaculate Conception, Pius XII asks all bishops for their opinion. We earnestly beg you to inform us about the devotion of your clergy and people (taking into account their faith and piety) toward the Assumption of the most Blessed Virgin Mary. More especially We wish to know if you, Venerable Brethren, with your learning and prudence consider that the bodily Assumption of the Immaculate Blessed Virgin can be proposed and defined as a dogma of faith, and whether in addition to your own wishes this is desired by your clergy and people.